The OSU Alumni Club of Northwest Ohio’s Annual Meeting and Summer Sendoff date has been set! 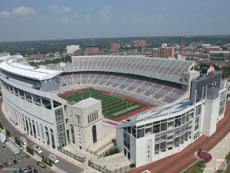 Incoming Ohio State freshman, alumni, friends and parents are invited to attend. Social time at 5:30 p.m.—Dinner at 6 p.m.